The Working Group Research was established in Windhoek, Namibia, in 2015. Its aim is to encourage exchange of knowledge and information among the members of the ICH-NGO Forum and strenghtening the cooperation between the heritage workers in the field and the researchers. 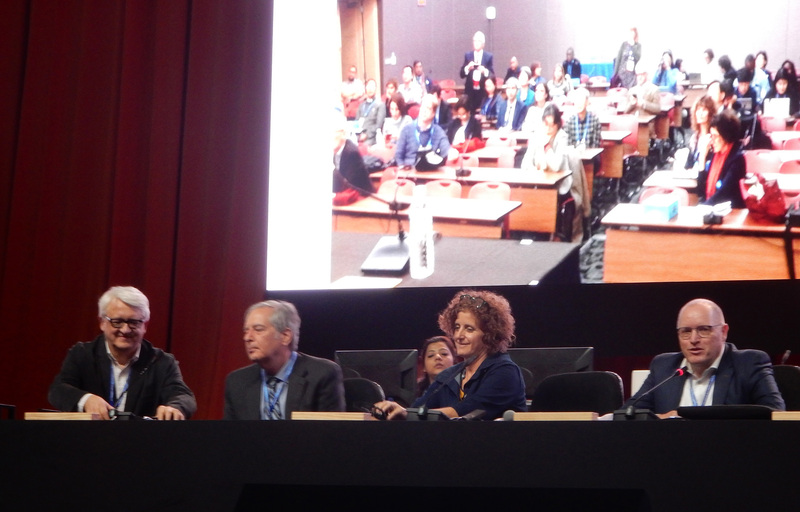 Working Group Meetings always take place during the General Assembly and Intergovernmental Committee Meetings, where members of the ICH-NGO Forum can present topics which they have researched or want to discuss. 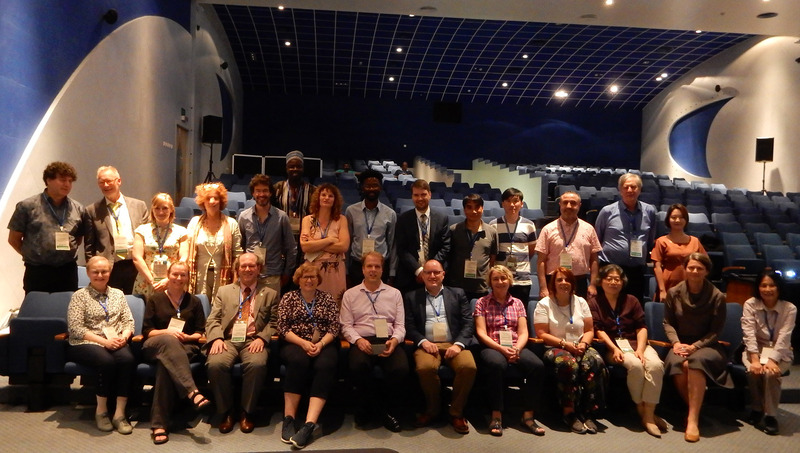 Members of the Working Group Research include: Albert van der Zeijden, Egil Bakka (egil.bakka@ntnu.no), Ananya Bhattacharya, Chiara Bortolotto (chiara.bortolotto@ehess.fr), Naila Cerabasic (naila@ief.hr), Y.H. 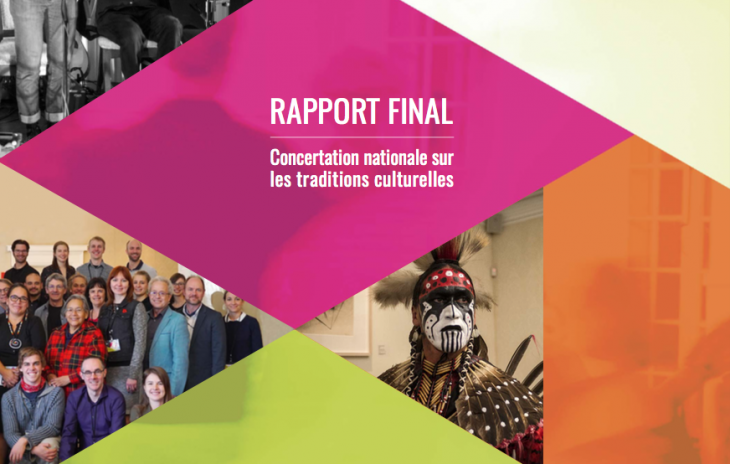 Chishi (indigenouscc@yahoo.com), Nihal Kadioglu Çevik (nihalkcevik@gmail.com), Harriet Deacon (harriet@conjunction.me.uk), Dag Feldborg (dag.feldborg@handverksinstituttet.no), Antoine Gauthier (direction@patrimoinevivant.qc.ca), Hanhee Hahm (hanheeh@jbnu.ac.kr), Martin Andrade Pérez (martinandradeperez@gmail.com), Lluís Garcia Petit (lgp@pangea.org), Saifur Rashid (saifur_rahid66@hotmail.com), Hanna Schreibder, Laurier Turgeon (Laurier.Turgeon@hst.ulaval.ca), N. Urtnasan (n.urtnasan@gmail.com), Valentina Zingari (vzingari@gmail.com). 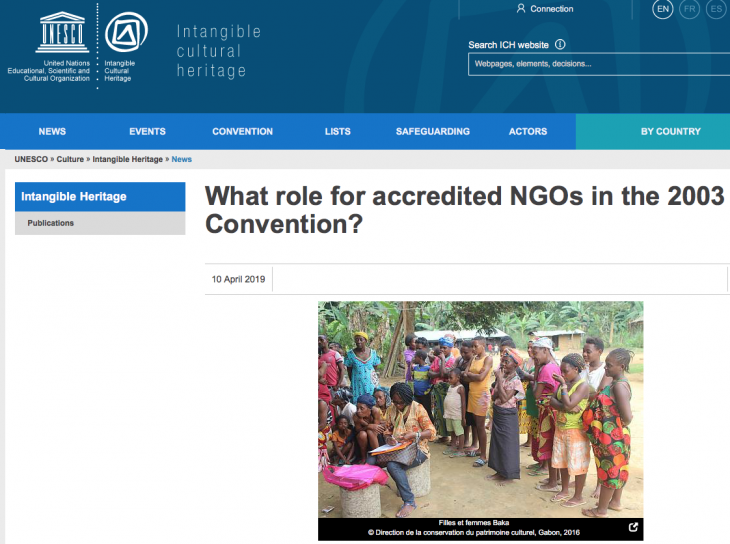 What role for accredited NGOs in the 2003 UNESCO Convention? WoMAU organizes a variety of activities to enhance the visibility of the Traditional Martial Arts as the culture.